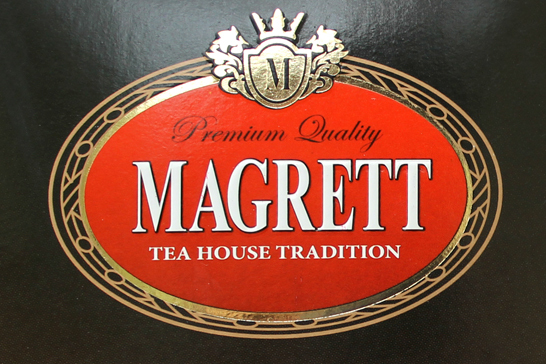 TEA MAGRETT from JFK Ltd. 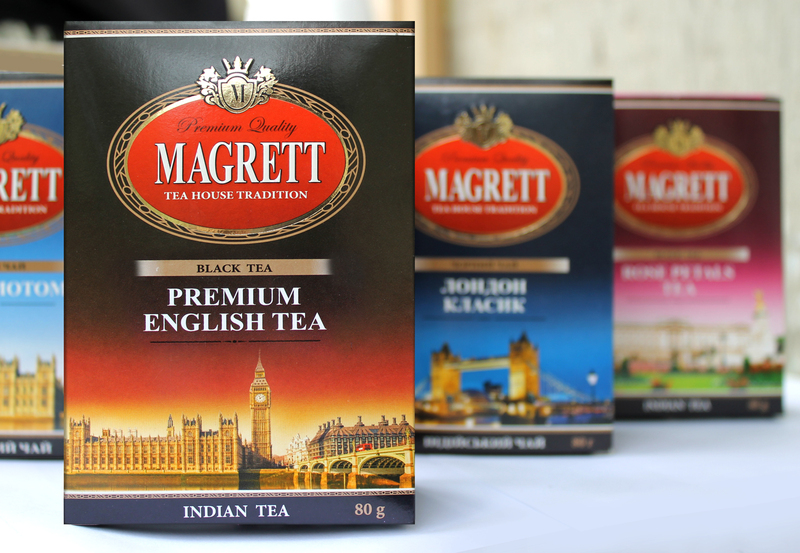 These are high-quality leaf teas from India and Sri Lanka. 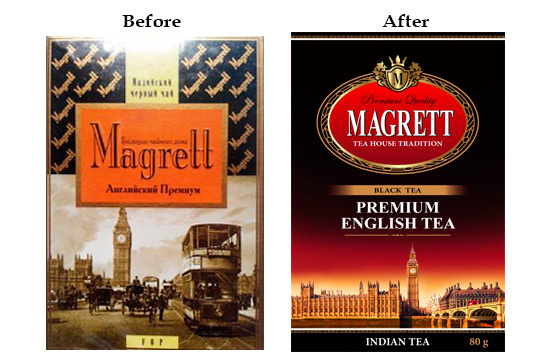 Therefore, there was a need to create a brighter and more modern design that would match the quality of the product. 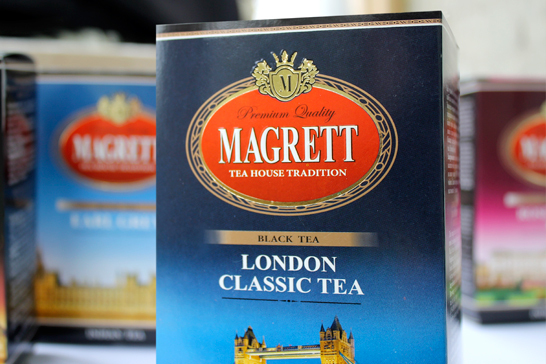 A redesign of the logo and packaging was carried out, the silithite, and also was supported by printing products. 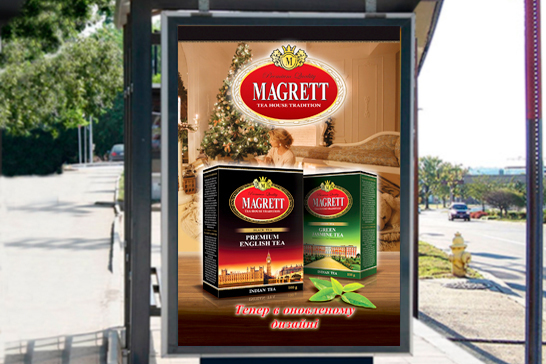 In the design, the goal was to convey the identity of the English aristocratic society to the buyer who chose Magrett tea. At the same time to convey a sense of warmth and comfort from a warm blanket in the cold and damp autumn. 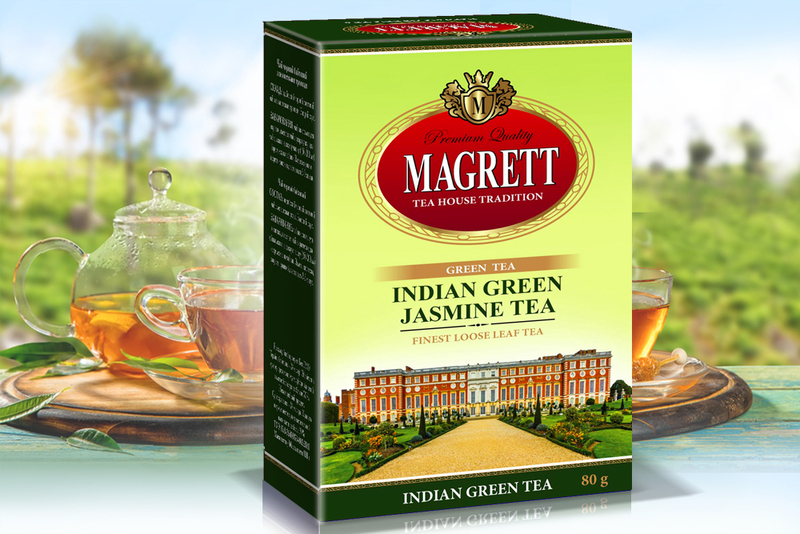 Enjoy tea drinking in the morning or evening.